O.K., who wants to take me under their wing and be my online Photoshop trainer/mentor? You think I'm joking? I'm serious here. I want so badly to learn what I'm doing with Photoshop. I attempt to work on it to make it better. No, I didn't use Photoshop, because, honestly, I don't have a clue HOW to use Photoshop on photos. I only know how to use Photoshop to create web graphics... know nothing about working on photos. Anyway, here's my attempt at fixing the above photo. Not too bad. 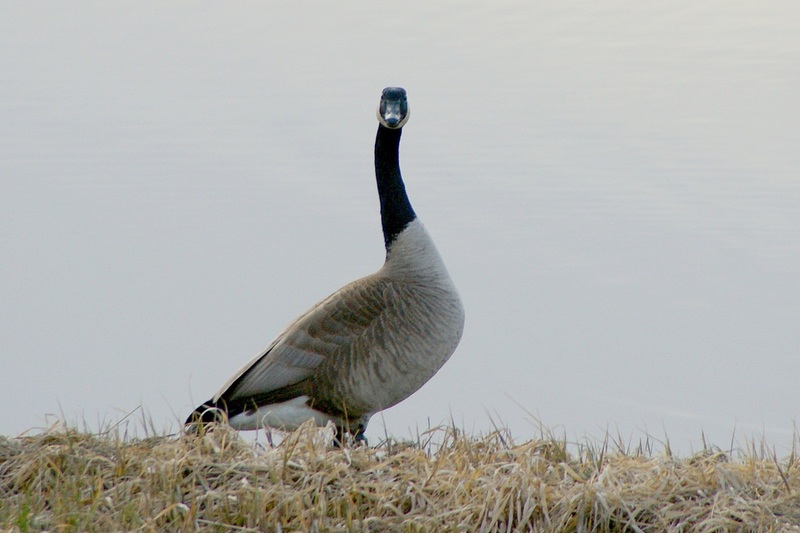 I lightened it so (if you're viewing the larger version), you can actually see the eye of the goose now... hmm, that sounds like a song Eyeeeeee of the Gooooooose. Oh sorry, back to the technical stuff. Anyway, I think I took something away from the photo, and I'm not sure what I did wrong or how to do it better. My attempt to 'fix' (I use that term lightly). The image is not too flat - too 2-dimensional. I lost detail, and I feel I lost a lot of mood in the photo. Fun post, Misty. Love the last photo! I have elements for MAC and haven't used it yet. I do most of my editing with iPhoto, but would like to do more. LOVE my MAC! Oh how fun is it? I was for sure taken for a ride..Love it, Misty! They have some great tutorial books you can buy. I have one that includes a CD that walks you through how to use it. I was thrilled because I was able to find it on eBay. Unfortunately, the things I lack is time and so I don't know how to use it! Ha ha!!! I like you shots, and thought how you ended with the last one facing us was fun. Cracked me up! Excellent post, Misty. I bought the Photoshop Books for CS2 and CS3 by Scott Kelby and mostly learned from reading them or talking to others who are fluent with it. I would recommend getting whatever book Kelby has for the version of Photoshop that you are using. Gosh, don't ask me, I don't even have Photoshop. I believe in leaving well enough alone, what you see is what you get, etc. Or...maybe i'm just lazy. But good luck to you, Misty. I'm with Dina! Although I would love to get Photoshop. Hurrah with your progress so you can teach the rest of us! 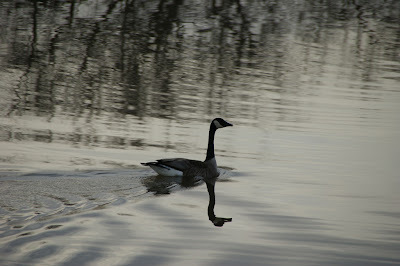 I just love to watch them glide across the lake! Sometimes when I have a darker photo, I just select the parts I want to brighten with the lasso tool. I have PS Elements which is fairly user friendly--I'm sure I don't even use half of what it could do, but I like it for the ability to make small adjustments when necessary. I posted a goose today as well. Great minds think alike! 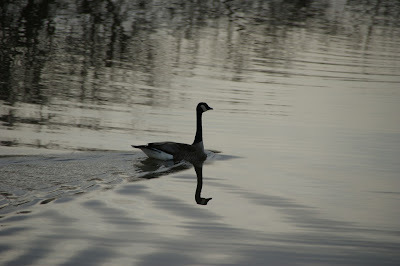 That last photo of the goose is 'to die for' perfect!! Congrats on the upcoming 2 year anniversary of C C!! I think they turned out great, Misty. 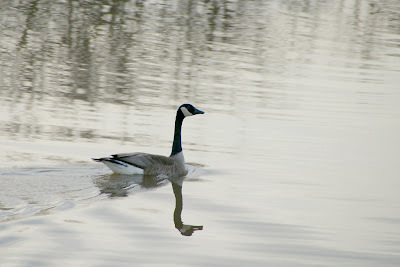 Even the last goose thinks so too! I love that last photo...hehehe. I love photo shop!! It takes a long time and a lot of practice but once you get to know it, it makes a world of difference!! great pictures!! Misty, I must echo Willard, I have bought a few books on Photoshop and learned something from each, but the best I have worked with is Kelby's. He writes in a humorous easy to understand way. 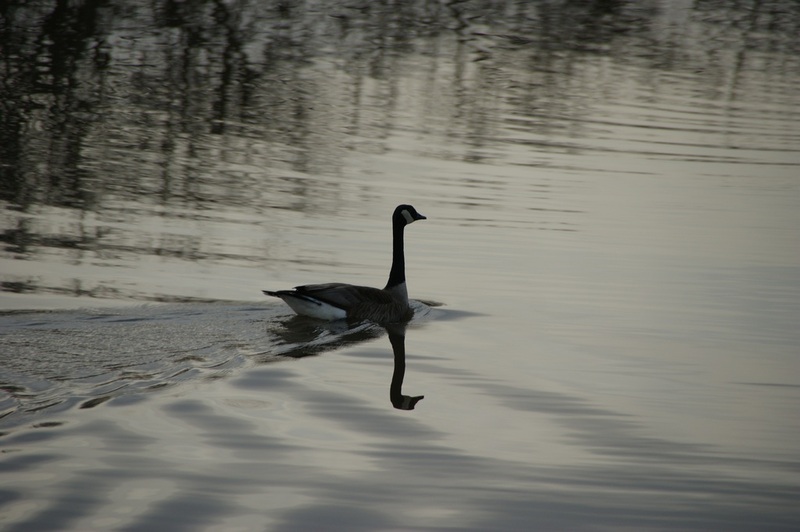 As for your goose on the water shot; very difficult lighting it would be very hard to make that shot pop. It's hard to believe Camera Critters is going to turn 2, thanks for keeping it going! 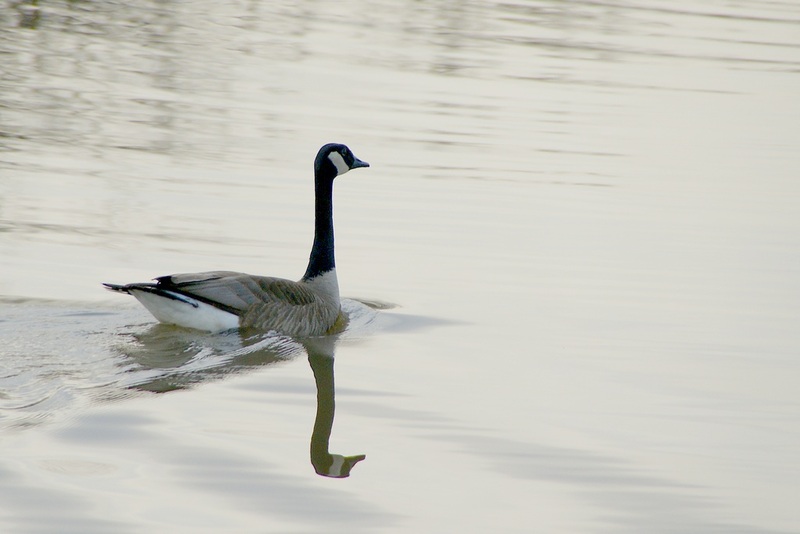 The Canada geese photos are great. I think photos of swimming birds are hard to do well. Misty..it's hard to explain how to use it without being there but if you have a good Photoshop tutorial, learn how to use levels & curves. They're the only thing I use in Photoshop (actually I use Gimp...a free photoshop clone) & it can make a tremendous difference. Even photos I've thought were pretty good, I've tweaked just a tiny bit using levels or curves & the difference was amazing.